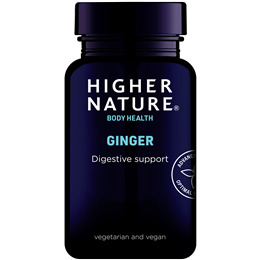 In the form of Vegicaps, this high strength ginger extract supplement is not only a guaranteed standardised extract, it is also Time Release, so it releases slowly over 8 hours in the digestive tract for a longer effect, with 20% being released over the first two hours. Ginger extract has long been used in the support and maintenance of a healthy digestive system as well as supporting cardiovasular health. Ginger rhizome (Zingiber officinale) guaranteed standardised extract (5% gingerols). Vegetarian capsule: hypromellose; glazing agent: shellac; glyceryl monostearate, ethyl cellulose. Adults: Take 1 capsule up to 3 times a day or 2 hours before travelling. Children over 8 years: Take a maximum of 2 capsules a day with at least a 6 hour gap between them. Below are reviews of Ginger Extract - Time Release - 60 Vegicaps by bodykind customers. If you have tried this product we'd love to hear what you think so please leave a review. Ginger extract has long been used in the support and maintenance of a healthy digestive system. 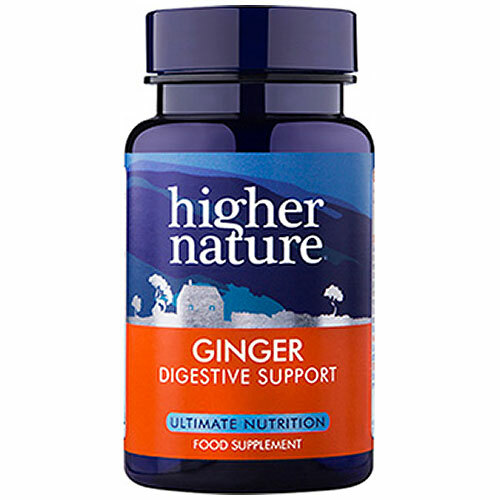 This high strength ginger extract is Time Release, so it releases slowly over 8 hours in the digestive tract for a longer effect.